There are a lot of steps to this, and it would take 30 photos to show it all so I am going to condense things a bit for this blog post then do a YouTube doodah with all the photos. For most of the windows the steps are basically the same. But let’s see how it goes! First things first – as I have the Grand Calibur, I can make use of a full A4 sheet and still run it through to cut the apertures. Knowing that most people have smaller machines, I did a new version that is only 6 inches tall. That should fit in a Big Shot, and maybe the Cuttlebug? But the principle is the same. 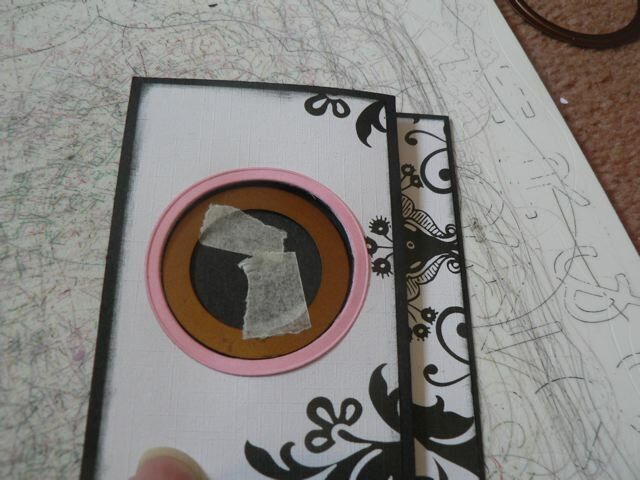 I sort of planned it as an upright card but at the end decided I liked it lengthways better. I liked how it looked opened out sitting on the table. 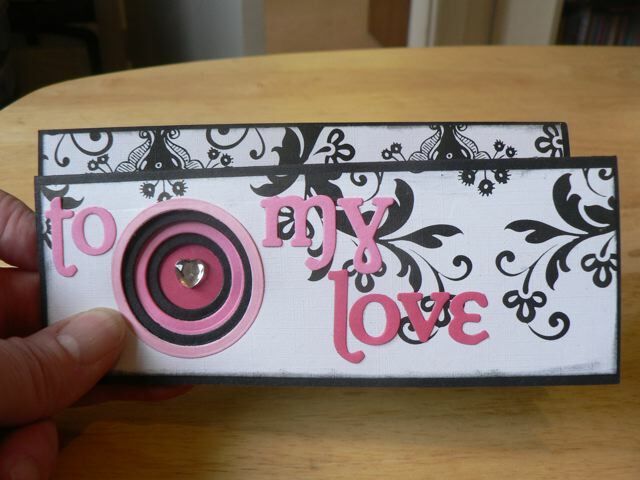 I used three shades of pink for the “tunnel” effect. 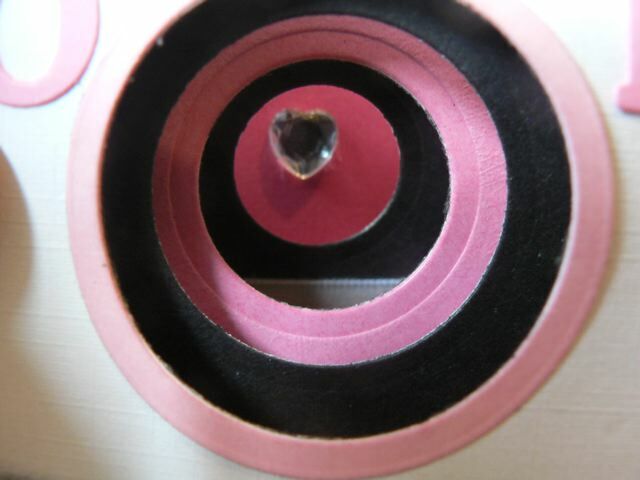 A4 – cut to 6 inches WIDE and score at 2 1/4, 4 1/2, 6 3/4 and 9 inches. This will leave you with a final panel of approx. 2 3/4 inches. US Letter – cut to 6 inches WIDE and score at 2, 4, 6, and 8. Your final panel will be 3 inches. It’s won’t really matter. 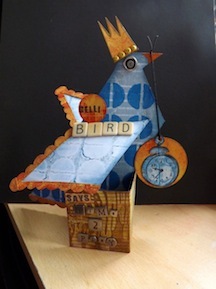 A bit about cardstock weight. 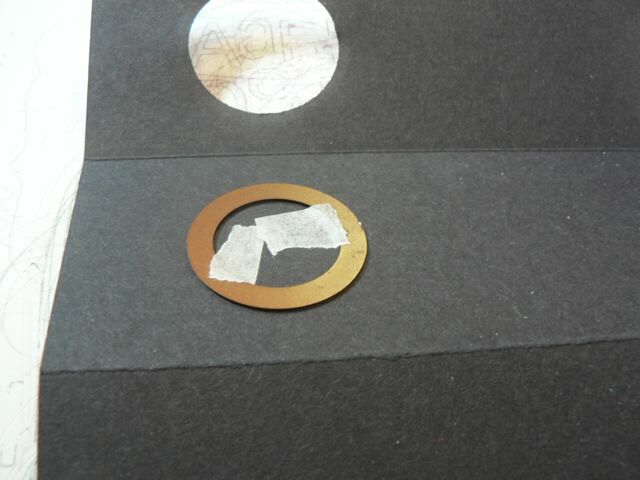 You will be attempting to cut through multiple layers of cardstock and paper to create the windows. Thinner base card will make this easier. The panels are all at least 2 layers overall so even 160gsm should be fine. 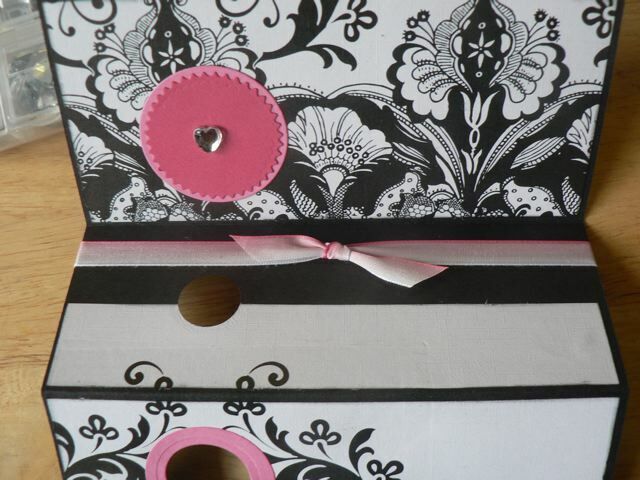 Decorate your panels as you like. 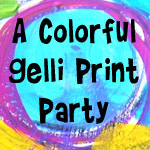 For the other one I used Distress ink, inked the entire panel then stamped. 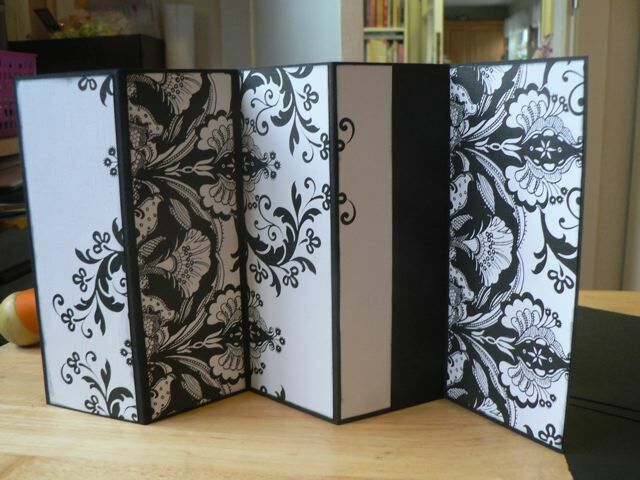 For this one I used a 6 x 12 inch scrap of patterned paper. I have issues with it, in the end. First, it wasn’t really enough to fully cover the panels, and second it is a bit hard to read the letters. Not impossible, but I usually like my text to really POP off the page and this doesn’t. Rather than do another one, I am going to carry on since I promised instructions. Looking at the card, we are going to (quite logically) number the panels 1, 2, 3, 4, 5. OK, now more measurements. First panel – the first window is two layers. 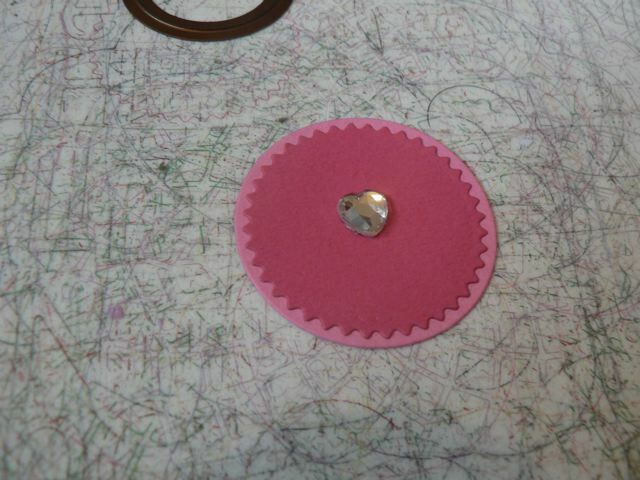 Standard Circles Small (SCS) – 5th die in, cut the lightest colour. Stick this to PANEL 1 where you want the window to be. Now, center over this the Standard Circle Large (SCL) – 6th die in. Cut the window in PANEL 1. 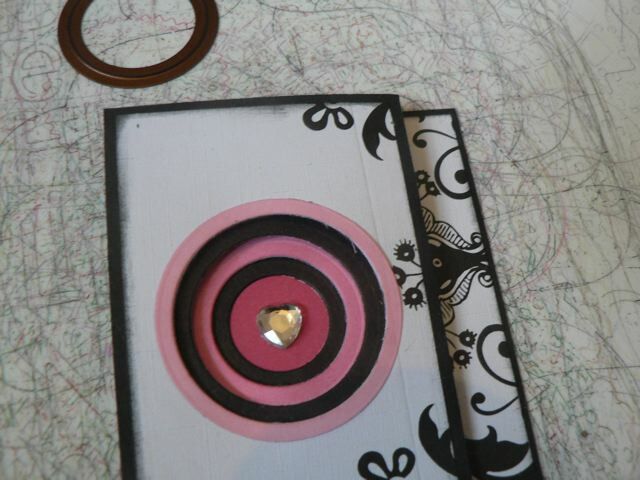 This will leave you with a thin circle of light pink card around the window. Now you need to cut the window in PANEL 2. Using Standard Circle Small, 6th die in, close the card. 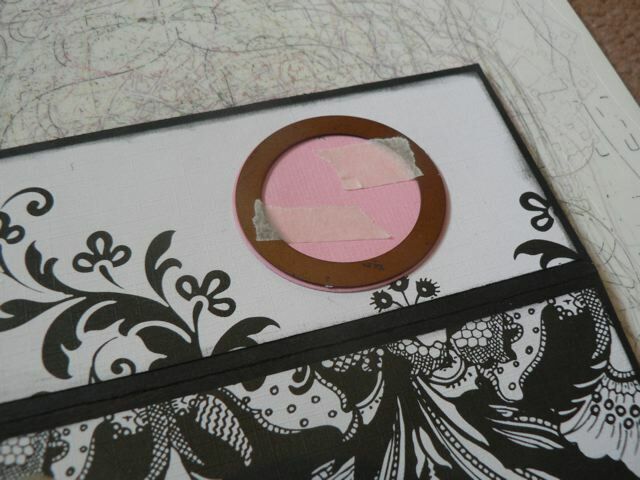 Tape the die centred in the Panel 1 window – and this will be to the BACK of PANEL 2. Open the card and cut. 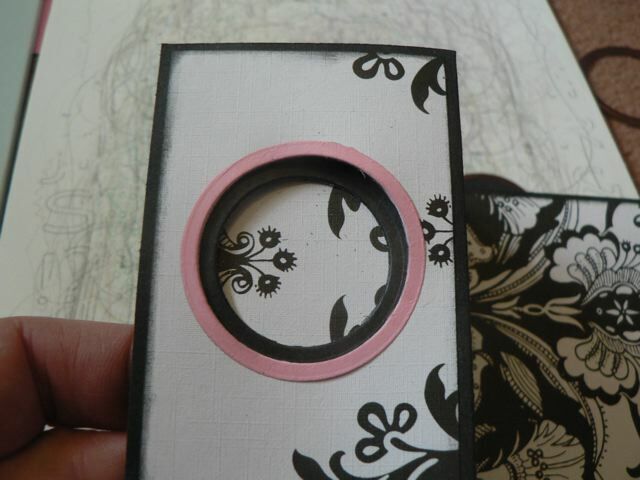 For panel 5, cut whatever combination of circles, scallops, pinked circles, etc. you like, just make sure there is an area at least as big as the window in Panel 4. 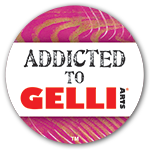 I used a pinked circle and a slightly larger circle. Centre you heart in the middle. With the heart centred you can now center the heart in the Panel 4 window then stick the circle to Panel 5 and it will be placed perfectly. Of course I changed the placement when I changed the orientation of the final card! It’s hard to see the effect in a flat photo, but I love the tunnel. Although the envelope will keep it closed, I think I might tie some ribbon around the right side of the card anyway, to keep it from springing open as soon as it comes out of the envelope. And speaking of, I have a 7 1/2 x 3 envelope in my stash of card blanks and it fits in there, albeit with room to spare. I would make any further cards 7 inches wide (cause remember I do have the Grand Calibur so I can do that) then they would fit the envelope perfectly. I suppose if you were careful about the card and paper weights you MIGHT be able to do the same with punches, if you had enough sizes. Maybe a circle cutter too, but I think you would have to be very careful everything was going to line up perfectly! So if you make one, please share it with me. And I’ll get back to the over-stamping I mentioned in the last card version, but it’s not rocket science, so that will be much shorter than this! And I did use a lot more photos than I planned but felt they were needed for it to make sense. I really hope it does! 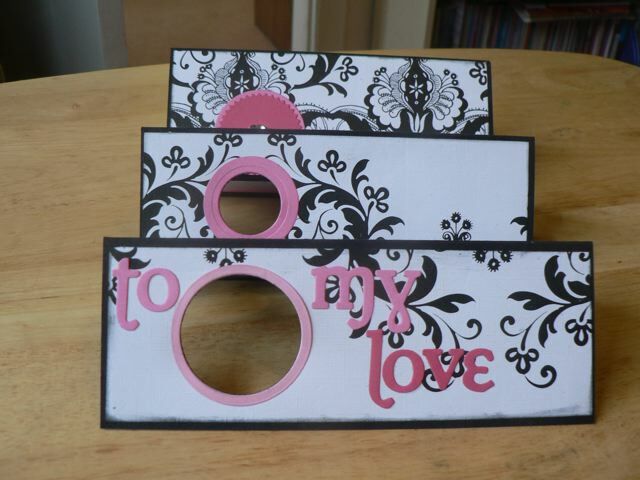 Categories: cards, die-cuts, tutorial, Valentines | Tags: cards, how-to | Permalink.